Motorola-Moto-X How its deffer from others? 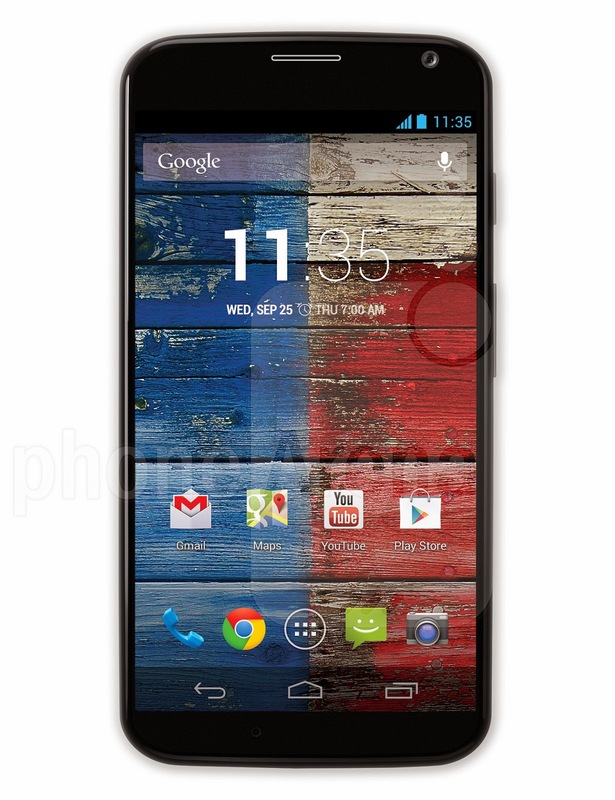 Home » Motorola » Review » Motorola-Moto-X How its deffer from others? Main Feature of Motorola Moto X.
Moto X comes with an innovative voice assistant, which responds to voice commands without having to touch any buttons even when the phone is in standby mode and the display is turned off. Much like with Google Glass, all you need to say is “OK Google Now” followed by the voice command and the phone will do the needful. It also comes with motion based camera controls. If you have the phone in your hand, just twist your wrist twice and it will be ready to click pictures. Great for one handed use, this feature just requires tapping anywhere on the screen to shoot. The phone comes with an active display, which shows notifications on the lock screen itself as soon as one lifts the phone. Detailed view can also be accessed without unlocking the phone. This feature makes information more accessible for the user. The three functions mentioned above are controlled by the phone’s pair of co-processors, which work when the phone is not in active use. One of them takes care of the active display and sensing motion (for the motion based camera control), while the other keeps listening for voice commands to wake up the phone. The co-processors sip little battery and help the phone’s battery last longer that what could have achieved by keeping the main processors running. Apart from all that (and the Android goodness, of course), Moto X also gets Motorola Assist, a feature that detects if you are driving and reads out the caller’s name for your convenience. To recap, the Moto X features a 4.7-inch HD (1280×720 pixels) AMOLED screen, a 2,200mAh battery, and a dual-core 1.7GHz Qualcomm Snapdragon SoC and 2GB of RAM. Storage-wise, it gets two versions: 16GB and 32GB. Unlike the Moto G, which comes with dual-SIM support, the Moto X supports only one SIM. It was introduced with Android 4.2.2 Jelly Bean but has been upgraded to Android 4.4 KitKat. On the photography front, it gets an LED flash equipped 10-megapixel ‘ClearPixel’ primary and 2-megapixel front camera. Both the cameras can shoot 1080p videos. Let’s not beat around the bushes here folks, but the specs on the Moto X’s display are nothing worth bragging about. By today’s standards, its 4.7-inch 720x1280 (720p) AMOLED display is far from imposing, especially when compared to the 1080p beasts floating about. Details are effective enough to make everyday things easy on the eyes, seeing that it employs the favorable RGB arrangement with its pixels – while its saturated color reproduction and wide viewing angles are expected qualities from what we’re normally exposed to with AMOLED tech. Out of everything, though, it’s the edge-to-edge nature and minimal bezels of the display that are absolutely amazing. In fact, it helps to make the handset extremely form fitting and compact – more than anything else we’ve seen! Another interesting aspect is the Active Display feature of the handset, which shows pertinent notifications in a confined area on the display – thus, helping it to reduce power consumption. Instead of turning on the Moto X to view notifications, Active Display will initiate whenever it receives something new, or when it’s nudges or flipped over from a display down position. Its purpose works, especially when we’re now less inclined to turn on the phone all the time. Unlike the mini versions of other leading phones which cut both corners and size, Moto X offers an outstanding overall experience while not being a huge handset. AT&T's Moto X is the best version of a very good phone, thanks to the Moto Maker customization options. The Moto X's advanced voice controls, quick-launch camera and highly customizable design make this Android phone stand out, but Verizon customers will have to wait for the build-your-own fun. For the majority of people, the answer is yes. It's an excellent phone that feels good and provides a hard-to-quantify but very satisfying experience. Despite not having the highest-end hardware, in many ways it feels more "futuristic" than its turbo-changed competitors. Don’t get me wrong, it’s great. It’s wonderful. An all around wonderful phone. An excellent Android phone. But it isn’t the radical change Motorola has hinted at, not yet at least. It’s iterative; a waypoint on the path to undiscovered country, but not the promised land itself. ... as a beginning, as the first step in some longer journey, Google and Motorola's first "true" joint effort is intriguing. It's a confident step forward. It makes me interested to see where Motorola will be a year from now, and that's something I haven't said in a while. So what do we think so far? We absolutely love it! Google and Motorola have done an excellent job. For one, the phone just feels top notch. The build quality is stellar, and the curves are some of the best we’ve used to date.